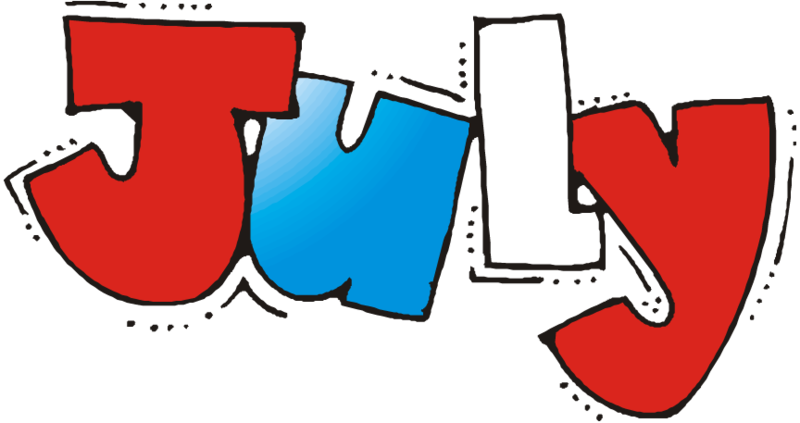 Are you born in July? The zodiacal sign of Cancer commences on June, 21st, but for seven days, being overlapped by the previous sign, it does not come into full power until on or about June 28th. It is in full strength until on or about July 20th. The sign of cancer- the crab, was so called by the ancients because the sun at this time of the year appears to advance and retreat in the heavens like actions of a crab. These people are full of contradictions; they have deep home interests, but are at the same time restless, and have a decided longing for travel and change. They succeed in making their homes and their domestic life. They are generally over anxious in financial matters, and make great efforts to gather in money, as a rule, they have unusual ups and downs in their life. They are inclined to speculate, so as to make money quickly but in all the gambles they generally lose, whereas in business they are as a rule most successful. They are industrious and hardworking in all they undertake, but from the standpoint of chance or luck they are seldom fortunate. They are generally gifted with strong imaginations, and often make excellent artists, writers, composers, or musicians. At heart they are romantic and of a very loving and affectionate disposition. They have a great dislike of being dictated to, but are most devoted and faithful when treated with confidence. They have the most sensitive nature and if not understood, they quickly give up or get depressed and melancholy. They often make excellent psychics, and usually have a yearning after the mysterious. People born in this zodiac often reach very high exalted positions. In their home lives, however, they usually go through a great deal of trouble, and are seldom surrounded by great happiness, no matter how successful they may appear in the eye of the world. They have deep love for what they call “their own people,” for family customs and tradition. They are chiefly inclined towards gastric troubles, and they should be extremely careful in regard to shellfish and such things. The colours most in harmony for them are all shades of green, and cream and white. The birth stones most favourable for this period are pearls, diamonds, opals crystals, cat’s eyes, and moonstones. This entry was posted in Astrology and tagged astrological traits, astrology, blessings, book now, cancer, confident, consultation, crab, crystals, divine, energy, faith, faithful, family, family customs, Festival, gastric troubles, happiness, hardworking, harmony, have a little faith, health, Hindu, july, lucky colours, lucky number, lucky stones, month, pooja, prosperity, puja, romantic, shubhpuja, shubhpuja.com, significance of cancer sign, success, traveler, zodiac sign. What does number 7 says for you? 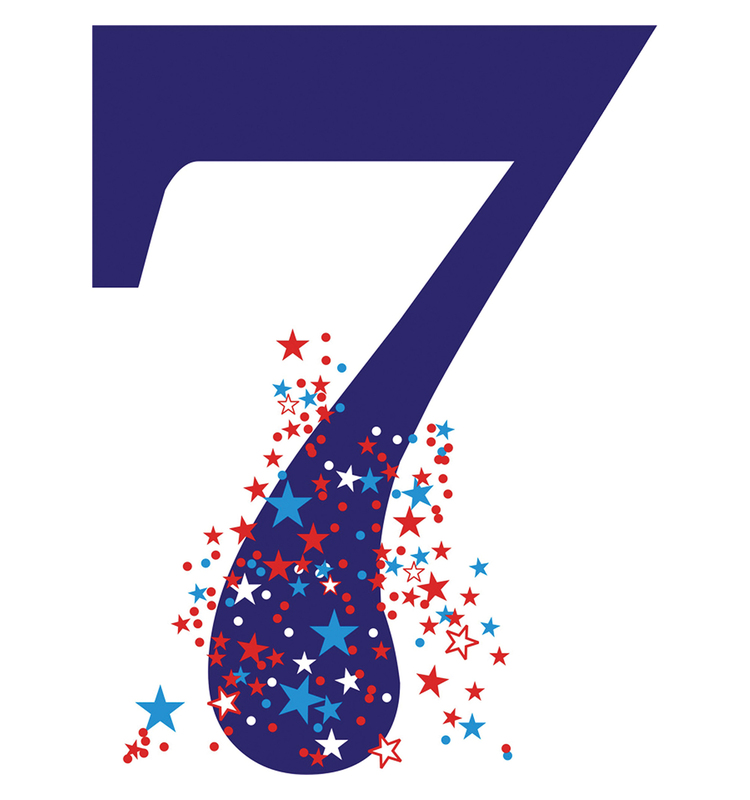 The number 7 stands in symbolism for the Planet Neptune, and represents all persons born under the 7, namely those who are born on the 7th, 16th, or 25th of any month, but more especially influences such persons if they are born from the 21st June to July 20th– 27th, the period of the zodiac called the ‘House of the Moon’. These are people are very independent, original, and have strongly marked individuality. At heart they love change and travel, being restless in their natures. If they have the means of gratifying their desires they visit foreign countries and become keenly interested in the affairs of far of far off lands. They often make extremely good writers, painters, or poets, but in everything they do, they sooner or later show a peculiar philosophical outlook on life that tinges all their work. They care little about the material things of life; they often become rich by their original ideas or methods of business. The women of this number generally have a successful marriage, and have an anxious nature about future. They are also interested in matters concerning the sea, and in trade or business; they often become merchants, exporters, and importers, dealing with foreign countries. They have peculiar ideas about religion. They dislike to follow the beaten track, they create a religion of their own, but one that appeals to the imagination and based on the mysterious. They people usually have remarkable dreams and a great leaning to occultism; they have the gift of intuition, clairvoyance, and a peculiar quieting magnetism of their own that has great influence over others. These people go really well with number 2 as it is also the Moon number. Thus people born in the ‘House of the Moon’ make great friends. The lucky days of the week for them are the same as for the number 2 people, namely, Sunday and Monday; especially if their own number falls on one of the 1, 2, or 4 number dates. Their lucky colours are all shades of green, also white and yellow, and they should avoid all dark heavy colours. Lucky stones for them are moonstones, ‘cat’s eyes, and pearls, and if possible, they should wear a piece of moss against their skin. This entry was posted in Numerology and tagged ancestors, blessings, book now, consultation, creative, divine, faith, fortune, happiness, have a little faith, health, Hindu, house of the moon, independent, lucky colours, lucky number, lucky stones, number 7, numerology, orignal, peculiar, philosiphical, planet Neptune, poets, prosperity, puja, rituals, shubhpuja, shubhpuja.com, successful marriage, traits, travel, worship, writers. An eclipse is an astronomical event that occurs when one object in the sky moves into the shadow of another. In case of Lunar Eclipse, moon becomes partly or fully invisible due to the Earth blocking sun rays to it and casting shadow on it. It takes place on Purnima (full moon night) only, yet it’s not necessary to have eclipse on all Purnima. Researchers have proven that at the time of eclipse the level of Raja- Tama component increases and the Sattva component decreases. They may have detrimental effects on the beings as the negative energies become quite dominant then the positive energies. Why one should not eat during eclipse time? 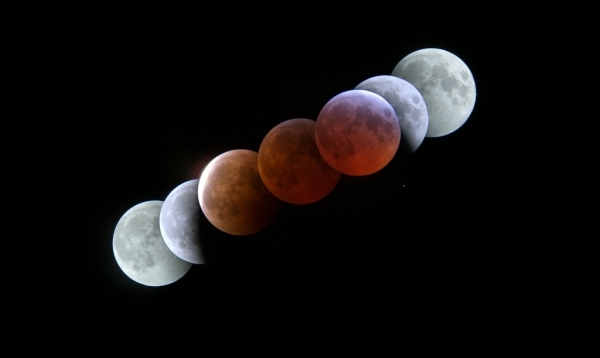 No cooked food should be consumed during the stages of lunar eclipse because the food turns poisonous; when it is affected by the ultra violet rays during lunar or solar eclipse. Therefore the Hindus follow the tradition of keeping a kusha (a grass serving as non- conductor of electrical waves) and tulsi leaves (anti-bacterial) on cooked food and generally observe fasting. Why to take bath after the eclipse? One should take bath in the holy Ganges, sacred rivers, and ponds or even at home as a symbol of cleanliness and purity. It is believed that after eclipse the water exposed to the process becomes totally pure- like of river Ganga. Thus having a bath with pure water cleanses our body and soul. Why to give charity during eclipse time? As mentioned before, the effect of negative energies become dominant so to get rid of its effect, the noble deed of charity is good to the weaker section of the society. People may donate food, clothes, coins, lands, and copper or silver or good metal, as per their choice. Why is it advised not to see the eclipse? One should not see the eclipse with naked eyes as the Ultraviolet rays can seriously damage the eyes. We may turn blind or face damaging impact on the retina of the eye. 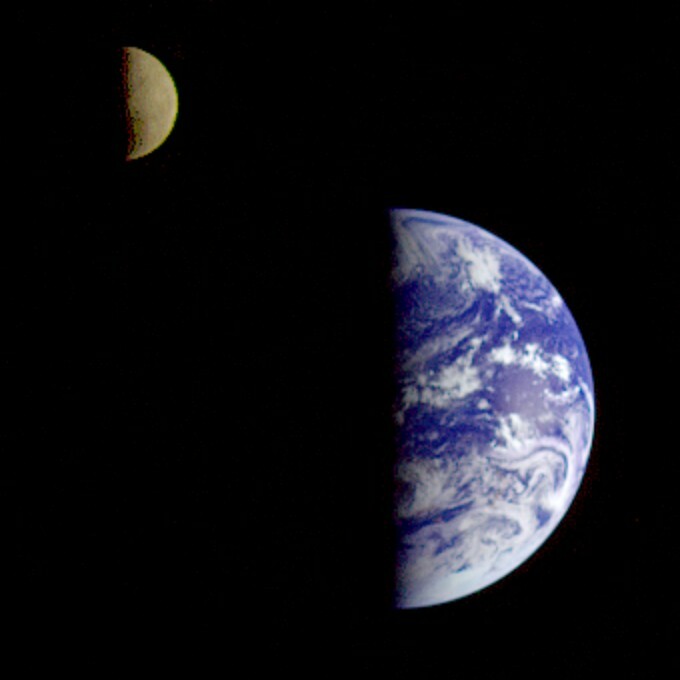 The blocking of the Moon’s reflection of the Sun’s light by the Earth suggests that our material viewpoint stands in the way of our “seeing the light”. It serves as a reminder that we need to realize how we are held in the dark by virtue of our perspective. Thus this is an excellent time to let go of the past and welcome the positive thoughts and behaviours. This entry was posted in Astrology, Puja and tagged 28 september, astrology, auspicious, blocking sun rays, charity, cleansing process, consultation, damaging for eyes, divine, Earth, faith, fortune, full moon, Ganges, geographical phenomenon, happiness, have a little faith, health, Hindu, hinduism, love, Lunar Eclipse, moon, naked eyes, negative energy, no food, positive thoughts, puja, purity in water, purnima, Raja-tama component, religion, rituals, Sattva component, shubhpuja, shubhpuja.com, spiritual perspective, success, sun, ultraviolet rays of the sun, worship. As the Earth travels around the Sun in its orbit, the north to south position of the Sun changes over the course of the year due to the changing orientation of the Earth’s tilted rotation axes. The dates of zero tilt of the Earth’s equator correspond to the Spring Equinox and Autumn Equinox. The Autumn Equinox is celebrated when day and night has approximately equal length. After this date, the North Pole begins to tilt away from the sun and evenings in the northern hemisphere becoming increasingly dark in the run up to the Winter Solstice. So on this day the tilt of the Earth’s axis is perpendicular to the Sun’s rays. This event is not just a physical or geographical phenomenon but has various traditions and cultures associated with it throughout the world. It has a major connection to harvesting as the season in northern hemisphere moves from summers to winters. For mystics, the cycles of the sun have their special significance. Going back to their most ancient origins, the various myths and rituals surrounding the solar journey are reflective of a universal process of spiritual change: the ascendency from the material to the spiritual, the struggle against inner darkness, and the victory of spiritual light. This is a process that mystics aim to experience within themselves, on a personal level. It’s a universal process, not owned by any place or time but having clear and unique manifestations in many cultures throughout history. In India this day has special connection with Goddess Kali. The divine mother goddess, symbolized as a female of great power, is a feminine aspect of each person’s own spiritual being. She has different roles, but in the autumn equinox her role as the one who fights alongside the negativity and destroys the egos. Kali is said to inhabit a cremation ground, which is the place where the egos are killed and destroyed in alchemical fire. Thus this year Autumn Equinox falls on 23rd September, and may each one of us work on our inner being with the changing seasons and transform as a better being. This entry was posted in Astrology, Puja and tagged 23rd September, auspicious, autumn, autumn equinox, blessings, book now, consultation, devotees, divine, divine mother, ego, equal axis, equal day and night, faith, female power, geography, Goddess, Goddess Kali', happiness, have a little faith, Hindu, Indian, mystics, perpendicular, power, prosperity, puja, rituals, season change, shubhpuja, shubhpuja.com, spiritual, sun rays, time and date, twice a year, winter solistice, winters, worship. the power of previous sign, it completely comes into power on or about May28th. From this date it is full strength until June 20th. People born in this zodiac sign are dual in character and mentality; therefore called Gemini-the twins. The twin sides of their nature are perpetually pulling in opposite directions. Their brains are subtle and brilliant, but they usually lack continuity of purpose. They are highly difficult to understand; in temperament they are hot and cold almost the same time. They are mentally very quick and keen, and in all matters where a subtle mentality is needed they can out distance all rivals. They seldom, themselves, know what they want to achieve. At heart they are ambitious for social positions; but when obtained they have already trued it and are ready to go for something totally opposite. They believe they are truthful, constant, faithful, and so they may be at the moment, but every moment to them has a separate existence. They quickly see the weak points in those they meet, and can reduce all to nothing by wit, sarcasm, or mimicry. They can make clever actors, lawyers, lecturers, and a certain class of public speakers, all those who play a changing role in life’s drama. They have an amazing sense of will power, if they force themselves to stick to one thing, then they generally make brilliant successes of whatever they undertake in any sphere of life. They often succeed the best as far as money is concerned, on the Stock Exchange or as a Company; they get wealth in a business. They are more generous to individuals than to institutions, for they act on impulse in giving as in everything else they do. They people generally have a rather long, narrow head and face; good, keen, sharp looking eyes. Their hands are usually long, thin or bony, restless or always doing something. They are very intellectual with a keen mentality that shows itself in anything they seriously take up. Their bond is the best with the people of their own period or from September 21 to October 20-27, or with people born in the centre of their own triangle, from November 21 to December 20-27. They are more inclined to suffer from what concerns nervous system than anything else; and have delicate digestive organs. Their lucky colures are silver, glistening white, and all shimmering things. The birth stone for them are white and red cornelians, sapphires, diamonds and all glittering jewels. This entry was posted in Astrology and tagged astrological traits, astrology, bestow, blessings, book now, centre, consultation, diamonds, dual personality, faith, faithful, fortune, happiness, have a little faith, Hindu, intellectual, jewels, Jue born, lucky stones, nervous system delicate, prosperity, puja, rituals, shubhpuja, shubhpuja.com, success, The twin personality, truthful, wealthy, will power. What does number 6 says for you? The number 6 stands in symbolism for the planet Venus. Persons having a 6 as their birth number are all those who are born on the 6th, 15th, or 24th, of any month, but they are more especially influenced by this number if they are born in what is called the ‘House of the 6th,’ which is from the 20th April to May 20th-27th, and from the 21st September to October 20th-27th. As a rule all number 6 people are extremely magnetic; they attract others to them, and they are loved and often worshipped by those under them. They are very determined in carrying out their plans, and may, in fact, be deemed obstinate and unyielding, except when they themselves become deeply attached: in such a case they become devoted slaves to those they love. Although number 6 people are considered influenced by the planet Venus, yet as a rule theirs is more the ‘mother love’ than the sensual. They lean to the romantic and ideal in all matters of the affections. They are really artistic and that is evident from their homes; are fond of rich colours, also paintings, statuary, and music. If rich they are most generous to art and artists, they love to entertain their friends and make everyone about them, but the one thing they cannot stand is discord and jealousy. When roused by anger they will brook no opposition, and will fight to the death for whatever person or cause they espouse, or out of their sense of duty. 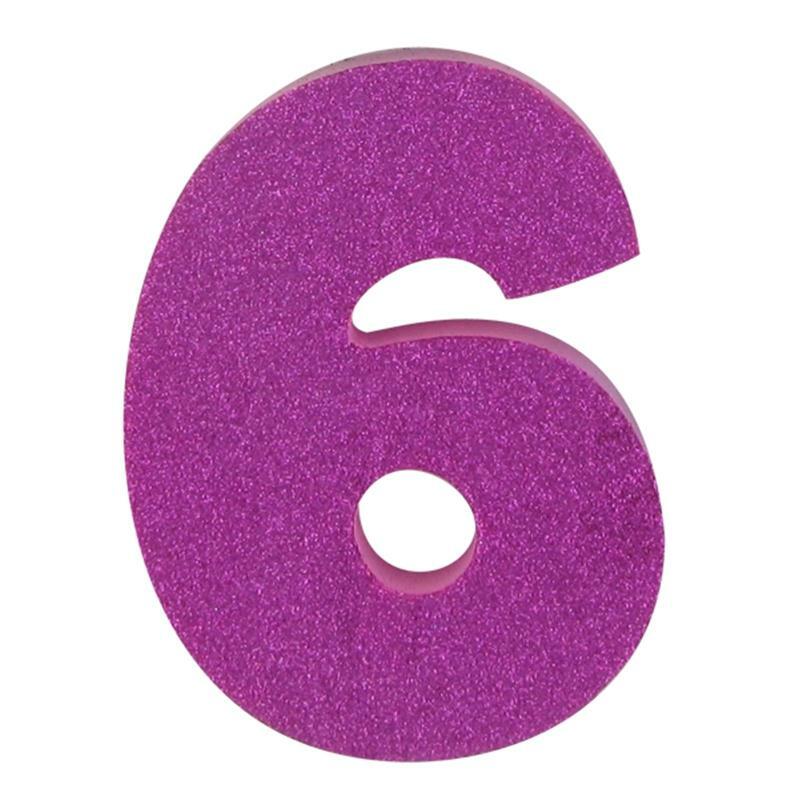 The number 6 people have got the power of making more friends than any other class, with the exception of the number 5, but especially so with all persons born under the vibration of the 3, the 6, the 9, or all their series. Their most important days in the week are Tuesdays, Thursdays, and Fridays, and especially so if a number of 3, 6, or 9, such as the 3rd, 6th, 9th, 12th, 18th, 21st, 24th, 27th, or 30th, should fall on one of those days. They should endeavour to carry out their plans and aims on all dates that fall under their ‘own number’ such as 6th, 15th, or 24th, of any month, but more especially when these dates fall in the period of the 6. Their lucky colours are shades of blue, from the lightest to the darkest, also shades of rose or pink. Their lucky stones are especially the turquoise, and as far as possible, they should wear one, or a piece of turquoise matrix, next their skin. This entry was posted in Numerology and tagged 6th, artistic, attachment, auspicious, book now, consultation, divine, energy, faith, friendly, generous, Goddess, have a little faith, health, love, loving, lucky colours, lucky stones, magnetic, motherly love, number 6, numerology, passionate, planet Venus, puja, shades of blue, shubhpuja, shubhpuja.com, six, symbol, turquoise. After the unlimited debates and discussions over meat ban in our country, it’s necessary to revive the age old traditions and sentiments of Indians attached with the ‘sacred cows’. Being an important ingredient of hamburger, and holding tons of nutritional and protein value in terms of cost; yet the other virtues of cows cannot be ignored. Cow, the ever known symbol of the Earth– the giver and the nourisher; represents the generous attitude and demands nothing in return. It’s a symbol of grace and abundance and inspires the people to adapt the virtues of gentleness and love for nature. 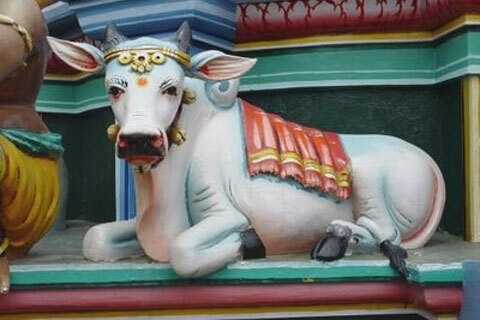 Even our own Vedas have an important mention about wish fulfilling cow- Kamadhenu. The nutritious milk of cow is a source of curing numerous diseases, and an easy remedy of dysentery, inflammation, and so on. To get rid of the problem of obesity, cow’s milk has been proved to be the most effective solution. Along with milk, cow is also a source of cream, yogurt, cheese, butter and ice cream, ghee and buttermilk. It gives entirely of itself through sirloin, ribs, rump, porterhouse and beef stew. Its bones are the base for soup broths and glues. It gives the world leather belts, leather seats, leather coats and shoes and what not. Even the waste of cow i.e. urine and dung has its own magical qualities. The urine consists of high quantity of sulphur and mercury, which is used in variety of Ayurveda medicines. Cow dung is an effective disinfectant and still used as a source of fuel and manure for plantation. The good fortune and the selfless attitude of the innocent animal is enough to melt the heart of inhumane beings and spare these lovely creatures. Our Rig Vedas also demands us to save the life of this pleasant existence. This entry was posted in Puja, Rituals and tagged abundance, auspicious, ayurveda, beef, beef ban, blessings, buttermilk, cow dung, cows, cream, dharma, effective, evil, existence, fertilizers, generous, giver, Goddess, grace, greatness, happiness, have a little faith, health, hindu traditions, holy, india, Indian, innocent, Kamadhenu cow, leather, life, Mahatma Gandhi, manure, Mata, meat, milk, mother earth, not demanding, nourisher, prosperity, puja, Rig Veda, sacred, selfless creatures, shubhpuja, shubhpuja.com, urine, Vedas, worship.